Overloaded vehicles on national highways damage the roads and cause accidents. The National Highways Authority of India (NHAI) has banned overloaded vehicles on the Pune- Solapur highway and plans to implement it on the other highways too. The ministry of road transport and highways has said overloaded trucks and other heavy vehicles damage road infrastructure which means huge expenses for their maintenance. Overloading, the ministry said, is also one of the major causes for an increasing number of road accidents. Ministry officials point out that if the load is two times the specified limit, the damage caused is 16 times. Officials said overloaded vehicles are also dangerous for other vehicles and road users, besides increasing fuel consumption and pollution levels. As part of the measures to curb this, special weigh-in-motion systems, weigh bridges and other equipment would be installed near toll plazas. As per the provisions of the Motor Vehicles Act, 1988, the excess load has to be offloaded and the driver or owner of the vehicle has to bear the cost. National highways constitute 2% of the total roads in the country. However, 80% of cargo is carried through these national highways, either destination-to-destination or partially. 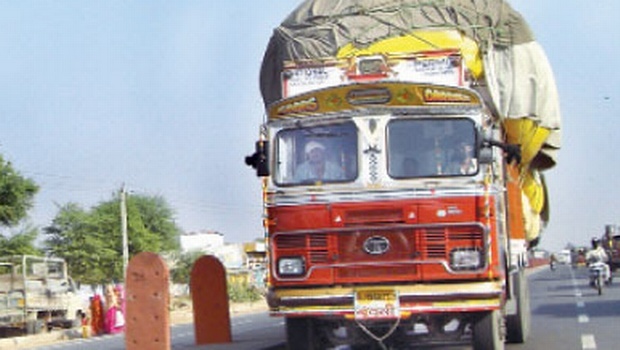 The ministry’s notification does not allow overloaded vehicles on the Pune-Solapur highway. The notification says that if there is excess load, the vehicle will not be allowed to use the highway or cross the toll plaza. The vehicle driver will have to pay 10 times the toll charges and the vehicle will be allowed to pass only if the excess load is removed. Officials said overloaded vehicles will be towed away and parked at a designated place. The safety and security of the vehicle and goods will solely be with the owner of the vehicle. While the towing charges are Rs 1,000, parking would be charged at Rs 50 an hour. If the vehicle remains unclaimed for seven days, it would be handed over to the concerned police station, officials said. Highway agency officials said state governments can also enforce provisions of Damage to Public Property Act, 1984, to stop overloading. NHAI, as part of a pilot project against overloading of vehicles, had earlier identified six highway stretches Belgavi-Dharwad, Hyderabad-Yadgiri, Dhankuni-Kharagpur in West Bengal, Porbandar-Bhiladi, Swaroopganj-Pindwara-Udaipur and Baran-Shivpuri-Jhansi sections.